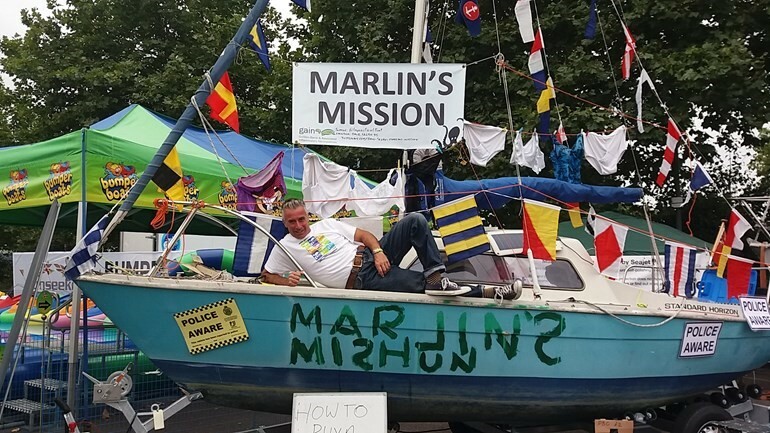 Pictured above is Dave Selby, Practical Boat Owner magazine contributor, Sailfish 18 sailor, author of the best selling book ‘The Impractical Boat Owner’ and based on the conversation I had with him on the phone recently he’s extremely amusing too. You’ll be pleased to know Dave is coming to our Fitting Out Supper on Saturday 13th April for an after dinner talk, booking form can be found here as well as on the noticeboards at the club. The annual prize giving of the clubs most prestigious trophies (listed below) will also take place during the evening, get your entries in by Friday 29th March please if you would like a photo of yourself shaking Dave Selby’s hand! Barnard Loving Cup – Best log of a cruise completed in 2018. Shipwright’s Trophy – Best maintained yacht of the winter layup period. The Montgomery Race – Our annual ‘race’ around this historic wreck, scored using our unusual system…. The Messenger Trophy – Longest return trip starting from MYC completed during 2018. £25.00 per person and £9.95 per child. Please complete the form and send it, along with your cheque to: Medway Yacht Club Office, Lower Upnor, Rochester, Kent, ME2 4XB.